This appeal arises out of the judgment dated 27.11.2013 of the High Court of Kerala which confirmed the conviction and sentence imposed on the appellant/1st accused under Sections 498A Indian Penal Code (IPC) (Husband or relative of husband of a woman subjecting her to cruelty) and 306 IPC (Abetment of Suicide). The trial court convicted the appellant/1st accused under Section 498A IPC and sentenced him to undergo two years of rigorous imprisonment and to pay a fine of Rs.5,000/- and in default of payment of fine, to undergo further imprisonment of one year. For the offence punishable under Section 306 IPC, the trial court sentenced him to undergo rigorous imprisonment for seven years and to pay a fine of Rs.50,000/- and in default of payment of fine, to undergo further imprisonment of three years. The substantive sentences of the appellant were ordered to run consecutively. This order was confirmed by the High Court. Being aggrieved, the appellant/1st accused preferred this appeal before the Supreme Court of India. The Supreme Court issued notice only on the limited question as to whether the sentence can be made to run concurrently, instead of running consecutively. 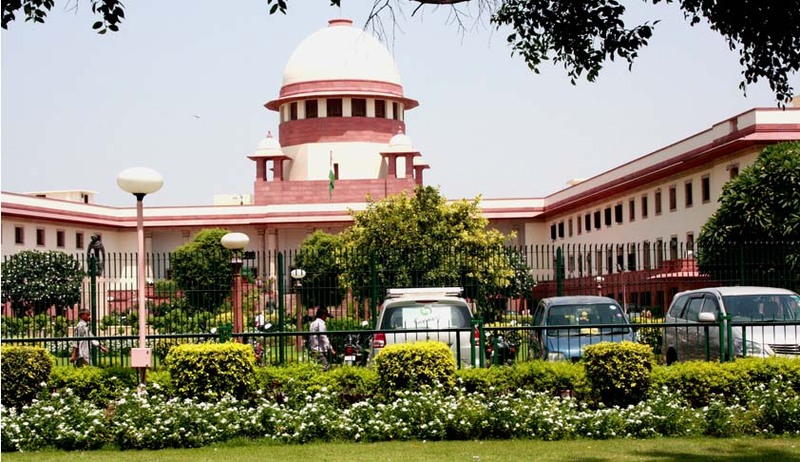 The Supreme Court referred the matter to a larger bench to settle the law vide order dated 18.7.2014 since the Court found it difficult to reconcile Section 31 Cr.P.C. with the judgment of Mohd. Akhtar Hussain alias Ibrahim Ahmed Bhatti vs. Asstt. Collector of Customs (Prevention), Ahmedabad & Anr. (1988) 4 SCC 183. This section relates to the quantum of punishment that the court has jurisdiction to pass where the accused is convicted for two or more offences at one trial. On a reading of Sec. 31 (1) Cr.P.C. the general rule seems to be that the sentences will run consecutively unless the court directs that the punishment will run concurrently. In Section 31(1) Cr.P.C. since the word “may” is used, in our considered view, when a person is convicted for two or more offences at one trial, the court may exercise its discretion in directing that the sentence for each offence may either run consecutively or concurrently subject to the provisions of Section 71 IPC. … Discretion to order running of sentences concurrently or consecutively is judicial discretion of the Court which is to be exercised as per established law of sentencing. The Court further held that before exercising its discretion under Section 31 Cr.P.C. the totality of the facts and circumstances of those offences against the accused has to be be considered while deciding whether sentences are to run consecutively or concurrently. Further, the Court held since sentence of imprisonment for life means jail till the end of normal life of the convict, the sentence of imprisonment of fixed term has to necessarily run concurrently with life imprisonment. In such case, it will be in order if the Sessions Judges exercise their discretion in issuing direction for concurrent running of sentences. Likewise if two life sentences are imposed on the convict, necessarily, Court has to direct those sentences to run concurrently. The basic rule of thumb over the years has been the so-called single transaction rule for concurrent sentences. If a given transaction constitutes two offences under two enactments generally, it is wrong to have consecutive sentences. It is proper and legitimate to have concurrent sentences. But this rule has no application if the transaction relating to offences is not the same or the facts constituting the two offences are quite different. The appellants who were convicted for different counts of offences arose out of a single transaction, favouring the exercise of discretion to the benefit of the accused that the sentences shall run concurrently. Those decisions are not cases arising out of conviction at one trial of two or more offences and therefore, reference to Section 31 Cr.P.C. in those cases was not necessitated. The Court further held that the ambit of Section 31 Cr.P.C. is wide, covering not only single transaction constituting two or more offences but also offences arising out of two or more transactions. Under Section 31 Cr.P.C. it is left to the full discretion of the Court to order the sentences to run concurrently in case of conviction for two or more offences. It is difficult to lay down any straitjacket approach in the matter of exercise of such discretion by the courts. The Supreme Court disposed the present appeal with above legal observations and with regard to the facts held that in light of the facts and circumstances of the present case the sentences imposed on the appellant could be ordered to be run concurrently.